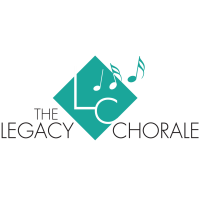 The Legacy Chorale of Greater Minnesota is celebrating its 18th season. 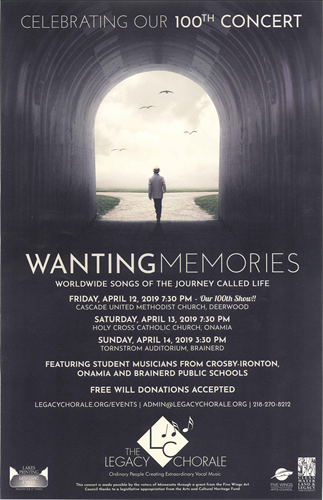 The Spring Concert series will be held April 12th, 13th and April 14th. Songs that lead us from despair to hope, inspirational melodies from around the globe, including: “Spiritual,” also written by Barnwell; a Swahili adaptation of The Lord’s Prayer entitled “Baba Yetu” (from the Video Game Civilization IV); an exciting choral arrangement of Carly Simon’s hit, “Let the River Run;” Leonard Cohen’s beautiful “Hallelujah;” and many more, including folk songs and spirituals.